We all know that Barcelona in Spain is one of the most famous destinations in Europe. Everyone has been telling me about how ‘cool’ the city is, and that I should put Barcelona down as my next trip since I live in Italy. So I did. While it is true that the city is beautiful, I personally find most of the good things I heard about the city overrated. There are so many other European cities worth a place in your “top 10 European cities to visit” that are much more than Barcelona. Having said that, it does not mean that you should skip Barcelona altogether. There are always some beauties in a city that you might not mind giving a miss that others would enjoy. So, for those who are visiting Barcelona, here are some of my humble tips for you to make your Barcelona experience much better. For Malaysians who usually don’t have high budgets, bear in mind that Barcelona is no cheapo city. Because it is such a famous destination, everything seems to be overpriced. The accommodations are at no kidding price. I travelled in what is supposed to be low season, but a decent place still costs about MYR170 per night for two persons – and when I say decent, I mean a clean room with a bed, bathroom, and nothing else (not even a chair). The same room costs double or more in spring and summer. Food is rather expensive as well, especially the overrated paella. Perhaps it’s because I’ve lived in Italy for some time – I find the food relatively expensive and its quality not on par. They are meant for tourists and tourists only. Entrance fees to local attractions are very expensive too. 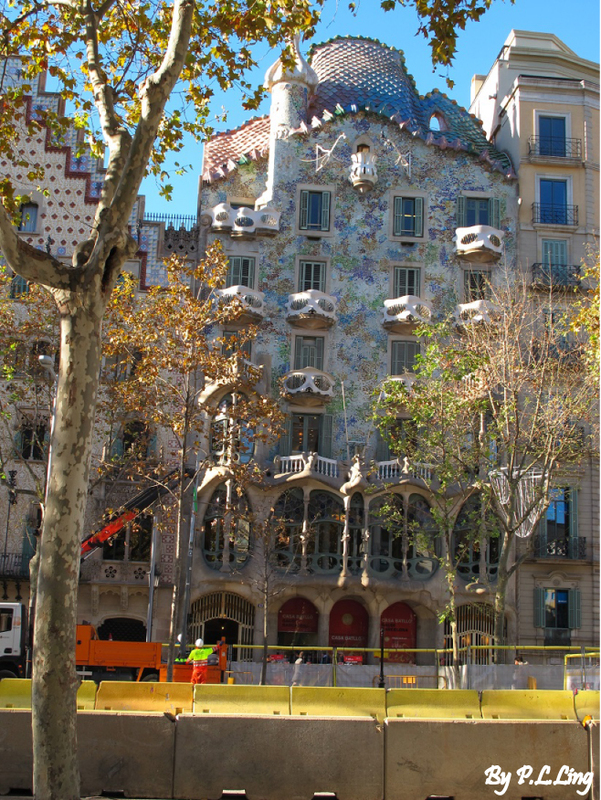 Because Antonio Gaudi is so famous, and most of his works remained as privately owned properties, the entrance fees to Gaudi-related architectures are set at no less than 16Euros (about MYR68). Entrance fees to Casa Batllo (a building restored by Gaudi) cost 18Euros (about MYR77) and La Pedrera (another Gaudi famous work) cost 16.50Euros (about MYR70). The entrance fees for the famous Colosseum in Rome, Italy cost only 12Euro (MYR50), which I think is more worth the money than Gaudi’s restored shop-houses in Barcelona. Our hostel’s owner told us that the best paella can be found near the coast area. According to him, most of the paellas in town are made from frozen seafood, and you could only get the fresh one around the coast area, the Barcelonatta area. But to our disappointment, this is not entirely true. The paellas sold in this area are relatively more expensive. We did tried it once, but to our disappointment the seafood used were not all fresh. 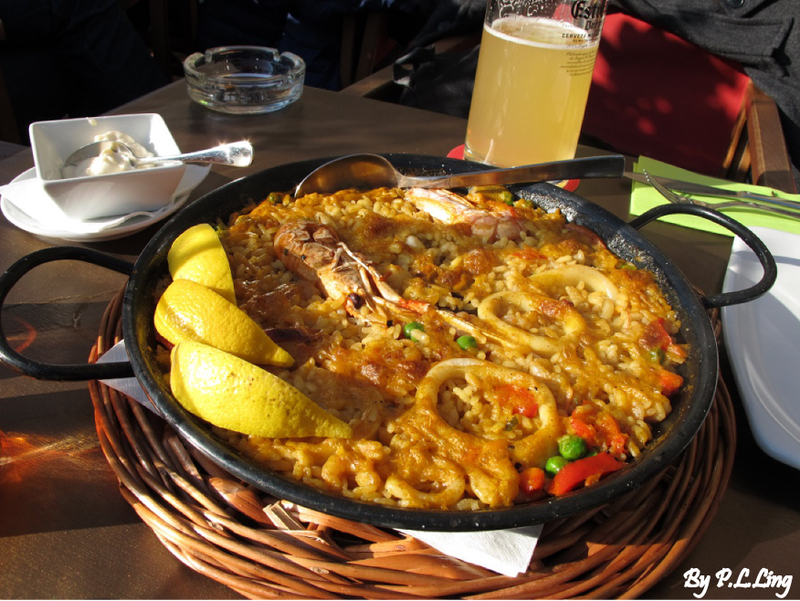 Perhaps to those visiting Barcelona, you could share your experience on fresh paella with us (if any). I find that paella in Barcelona is not only over-priced, but most of the restaurants have the same menu-board by the same company. We figured those restaurants must have been monopolised by the same company to have the price marked up so high. After all, only tourists are excited by this dish, while most of the locals will opt for paella from self-service restaurants. We tried that too and found the quality far better at a much cheaper price. To those who are going to Barcelona, please bear this in mind. 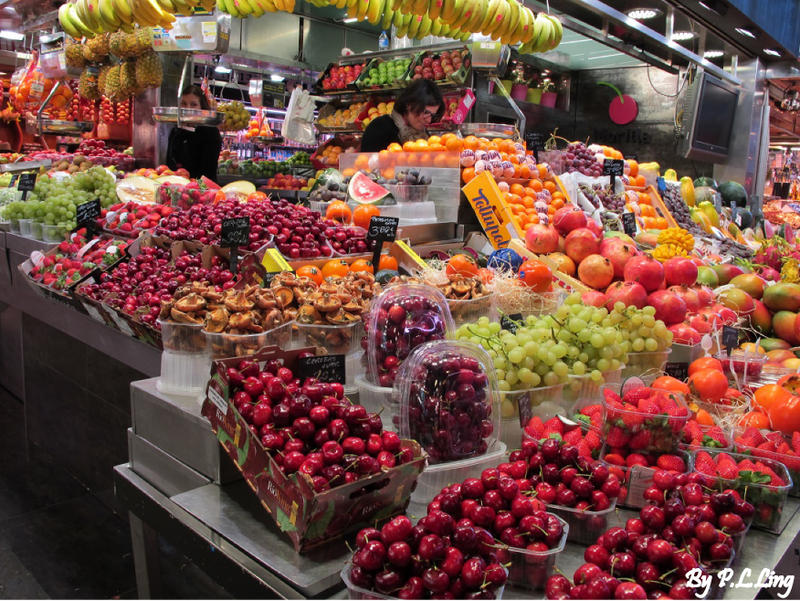 There are plenty of markets around Barcelona, and many of the little ones are operated by foreigners. Most of these shops do not show prices, and the goods could be double or triple the normal price. My boyfriend went to a mini market to get a bottle of water and realized that there was no price tag. Thinking the prices could not be much different, he took it to the counter where he was told that the price was triple that of the market next door. Just walk around a little bit, I’m sure you will find another decent market around, as I said before there are plenty of markets – big and small in Barcelona. 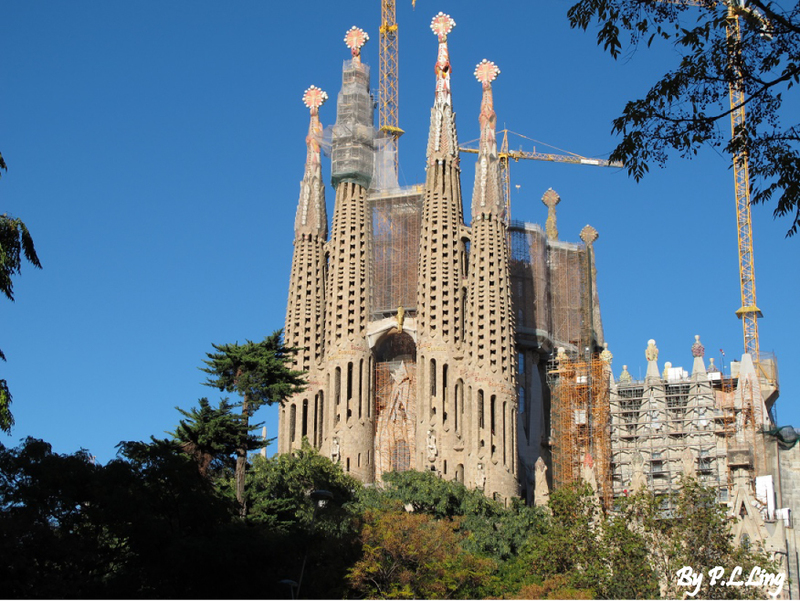 As I mentioned before, monuments are relatively expensive in Barcelona, but at the same time you can’t leave Barcelona without visiting Gaudi’s works. My boyfriend and I decided to pay a visit to the most important of Gaudi’s work in Barcelona – the Sagrada Familia. We paid 19.50Euros (about MYR83) per person for the entrance to the main Basilica and audio guide. The tickets also included a visit to the little museum next to the Basilica where it showcased Gaudi’s concepts and other works. 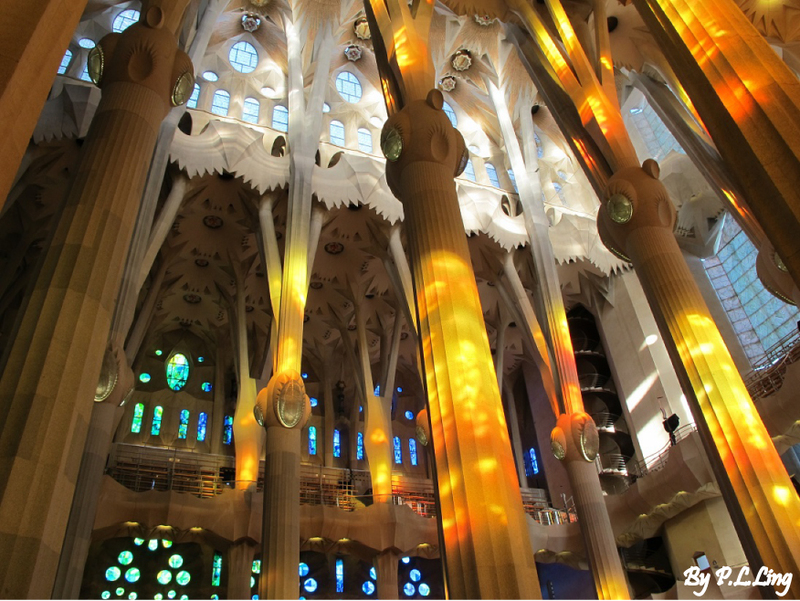 If you would like to visit Sagrada Familia, make sure to get the tickets online here before your visit. This is because the queue to get the tickets could be so long that some spent hours trying to get theirs. When we went in November, the queue was surprisingly still very long, despite having read that the queue was not bad during this period (especially in late afternoon). Thank God we decided not to take risk and purchased the tickets online, or we might have end up queuing for hours. I know it’s a must to visit Boqueria Market, but just because it’s famous doesn’t mean you have to fall into this tourist trap and pay double for your breakies. What I would suggest is to visit the market, but don’t have your breakfast here. The bakery costs double compared to bakeries outside the market. Instead of breakfast, you could buy yourself a glass of fresh fruit juice which cost only 1Euro. 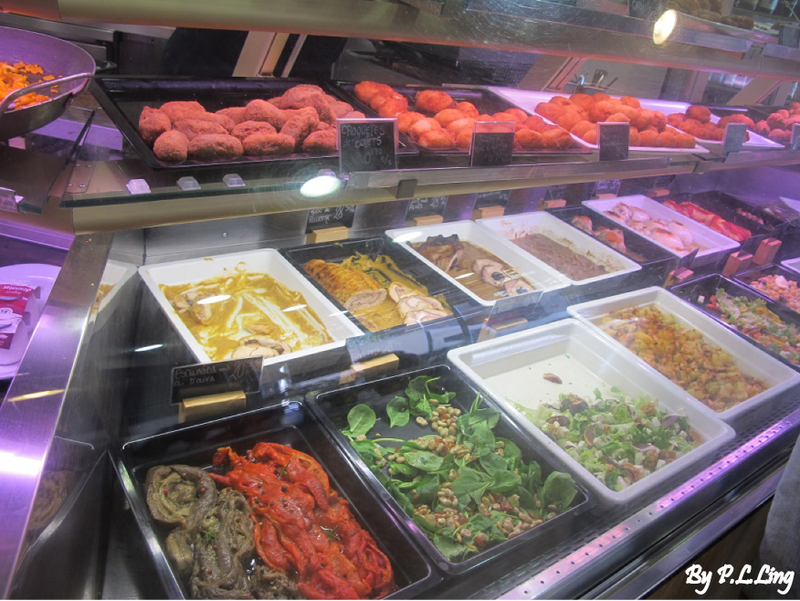 For those who still want to experience breakfast at a local market, try going to Eixample area instead. 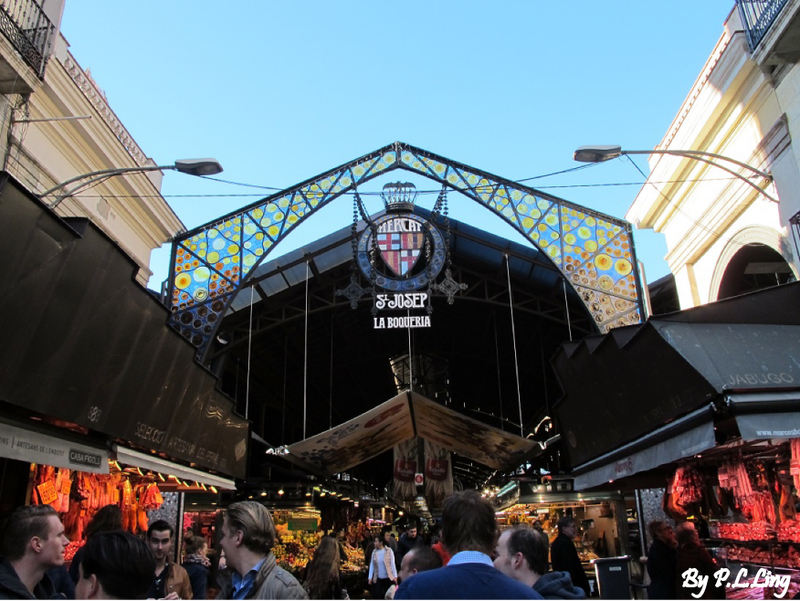 There is a market called Mercat de la Concepcio located at Carrer de Valencia (15 minutes walk from Boqueria Market). This market isn’t filled with tourists, and you could enjoy the authentic local breakies at a reasonable price. Now this is the tricky part. I don’t know why, but different tourists’ info points do operate differently. From what I gleamed from my experience, these info points are operated by the same company that manages the city tour buses. If you were to ask for a city map, some operators might sell the map for 1Euro. Major cities usually give the maps for free, and I managed to get mine free of charge. So whatever you do, never pay for the city map.